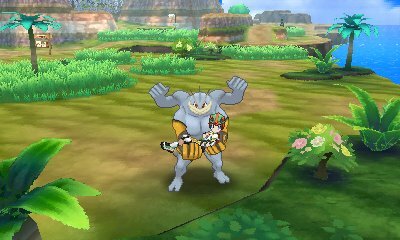 After you have defeated the first Kahuna in Iki Town, you will be given the Ride Pager item. This item can be activated with the Y Button and allows for you to call on Pokémon to assist you. 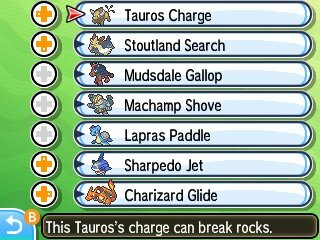 Each Pokémon has got a special feature unique to it requiring you to use multiple Pokémon to explore the region. You'll get new Pokémon added as you progress through the game. 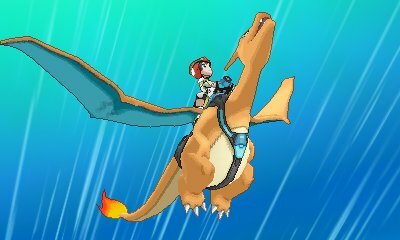 A feature of PokéRide is the ability to register four of the Pokémon to different buttons on the D-Pad. With this, you can activate the Pokémon with a simple touch of the button, so you can access your more often used Pokémon even easier. 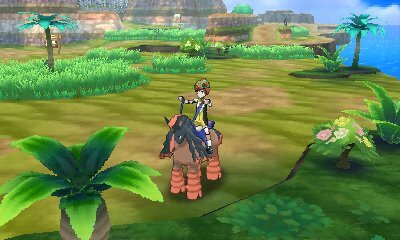 Tauros Charge Riding Tauros is a slightly faster way of travel, but by holding the B Button, it will charge fast. This can destroy boulders that are seen on the ground. Stoutland Search Stoutland is generally a faster mode of transportation, but when you press B it will sniff for hidden items. If one is near, a green exclamation mark will appear above its head, but if you're right by the hidden item it will turn red. 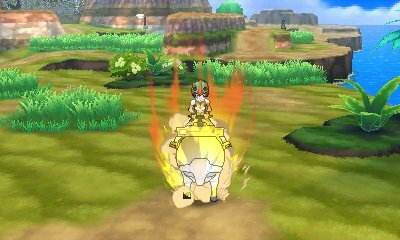 Mudsdale Gallop Mudsdale is the slowest of the PokéRide Pokémon, but can speed up with the B Button. You will often find rocky terrain which is impassable on any other Pokémon that requires Mudsdale Gallop. Lapras Paddle As HM03, Surf, is just a TM and not used anymore, Lapras is the Pokémon of choice for travelling across water. With this, you can speed up with the B Button and you can fish from on top of Lapras. 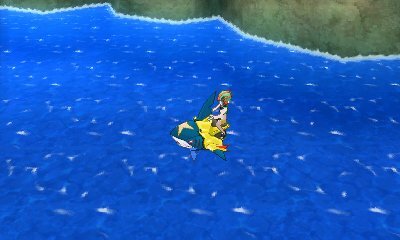 Sharpedo Jet Sharpedo is a much more rapid surfer than Lapras. 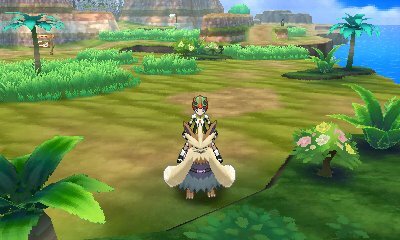 As such, when you hold the B button, it will charge much like Tauros and crash through any rocks blocking the way. 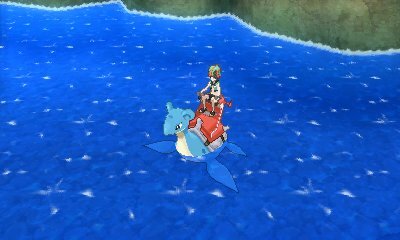 You cannot fish when riding Sharpedo.